send 1 Fish-Type monster from your Deck to the Graveyard. 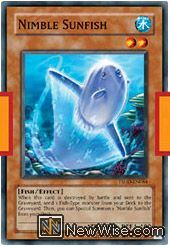 Then, you can Special Summon 1 "Nimble Sunfish" from your Deck. 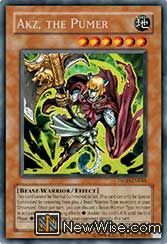 by removing from play 2 Beast-Warrior-Type monsters in your Graveyard. - Double this card's ATK until the End Phase. - This card can attack your opponent directly this turn.